Abby Miller leaves her successful quilt shop and patient fiance in Ohio to help her newly remarried and now pregnant mother in Lancaster County. While she’s away, Abby’s world is shattered in one fell swoop. How can God make anything good come out of this tragedy? With shaken faith, Abby is forced to look for answers away from friends and family. Will she find them in the ashes of the past, in her love of quilting, or in the heart of an overlooked Amish man? Can her faith withstand the flames of tragedy? 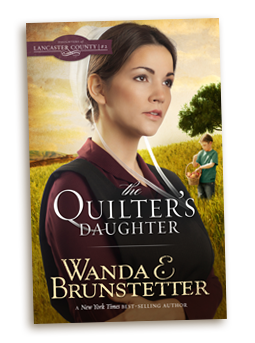 The Quilter’s Daughter is book 2 in the Daughters of Lancaster’s County series.This is a re-release of the second book in the Daughters of Lancaster County series. It has a new cover as well as the addition of several discussion questions. 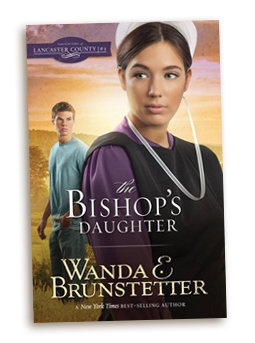 Leona is Bishop Jacob Weaver’s daughter and a dedicated teacher in a one-room Amish schoolhouse. After her father’s tragic accident, Leona’s faith wavers. How could God allow something like this to happen to one of His servants? Outlander Jimmy Scott comes to Pennsylvania in search of his real family. When he is hired to paint an Amish schoolhouse, Jimmy and Leona find themselves irresistibly drawn to each other. Can anything good come from the love between an Amish woman and an English man? What secrets will be revealed and what miracles await God’s people in Lancaster County? 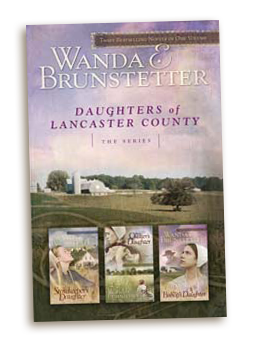 The Bishop’s Daughter is book 3 in the Daughters of Lancaster County series.This is a re-release of the third book in the Daughters of Lancaster County series. It has a new cover as well as the addition of several discussion questions. 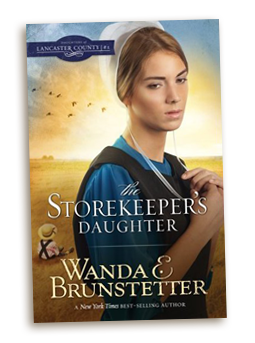 The Storekeeper’s Daughter, The Quilter’s Daughter, and The Bishop’s Daughter all 3 books in 1! Follow an Amish family’s story from its dark beginning to glorious resolution! Time stands still in Pennsylvania Amish Country where the Fisher family struggles to overcome devastating heartache. 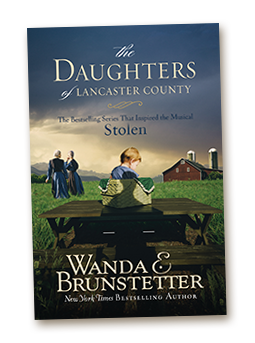 Follow three young women who are pivotal to bringing faith, hope, love, and—most importantly—forgiveness back into this Amish family’s lives. Many Amish youngsters are entrusted to the care of older siblings or friends when their parents are away or busy with work. This trusting attitude caught me by surprise one day when my husband and I stopped at an Amish farm in Lancaster County, Pennsylvania to buy a jug of homemade root beer. A young Amish girl, carrying her baby brother on her hip, came out to wait on us. Since all the root beer sitting on the picnic table was warm, I asked if she had any jugs that were cold. She hurried off to the house to get some, leaving the sweet child with us. A typical "English" mother would be aghast at the thought of leaving her child with strangers. We're accustomed to stories of horrors and kidnappings, rather than honesty and trust in the community. This young girl is so trusting, I thought. If someone capable of kidnapping came along, they could take this baby and be gone before the girl even knew what happened. From that incident, a story about the kidnapping of an Amish child and the community's reaction began to develop in my mind.